The Vela blender from Italian designers Bugatti combines class and practicality. With a highly polished base and streamlined appearance, its quiet elegance will look great in any kitchen. 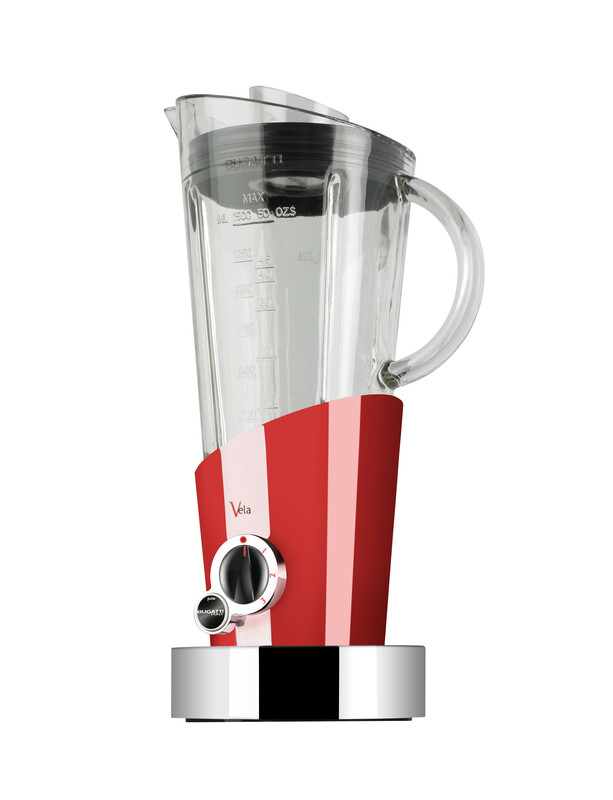 The unique conical design also ensures food moves about easily for perfect blending, and ingredients can also be added through the handy filter cup while the blender is active. Choose from 4 speed settings (low, medium, high & max) or use the pulse function for instant maximum speed. There is also the option to blend/grind ice with an automated program (1 second on – 1 second off) for best results. 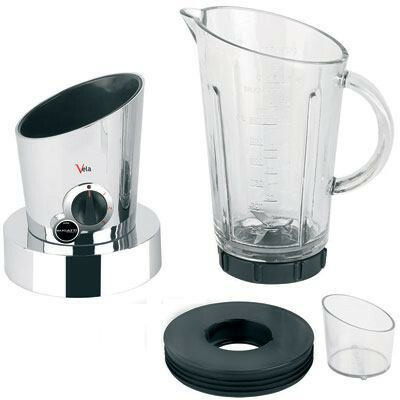 The mixing jar is made from reinforced glass, features contents marks on both sides, can blend up to 1.5 litres (50oz) and can be stored on the power base in many different positions without the need to lock it on the base. The high quality solid steel blades are uniquely designed to mix ingredients powerfully, meaning that objects like ice can be crushed instantly.